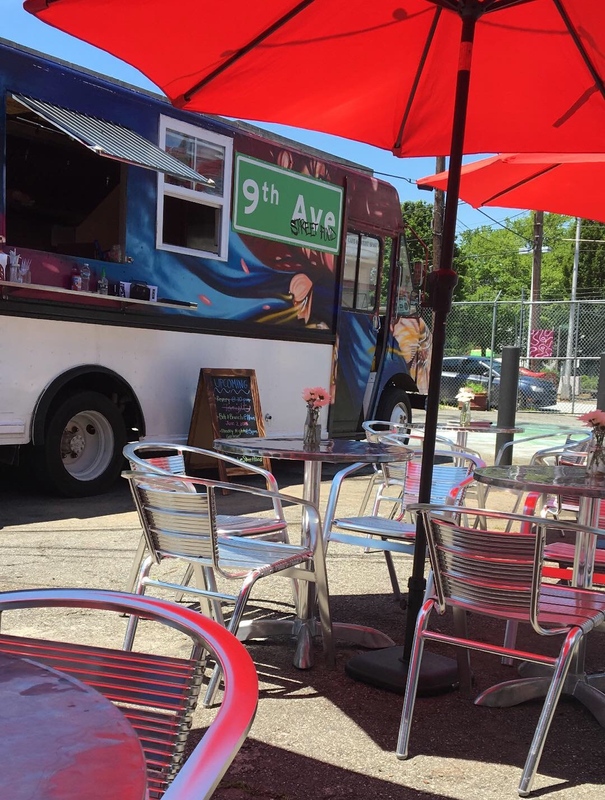 9th Ave Street Food is serving lamb nachos, barbecue turkey sliders, salmon nuggets, banana foster nuggets, and more in West End. The gourmet street food concept originally opened in October 2016 in a stand on Ponce de Leon Avenue in Midtown. In 2017, founders Angelique Ribeiro and Jasmine Whittingham shifted their focus to a food truck that catered to festivals, private events, and nightclubs. In November, the women leased a parking lot at 638 Evans Street, where they park the truck and serve at what Ribeiro calls an outdoor restaurant. “We’re a small black business, run by women, owned by women, trying to make an impact in the West End community. The BeltLine is right behind us. We’re trying to usher in the new West End with arts, culture, and food,” she says. 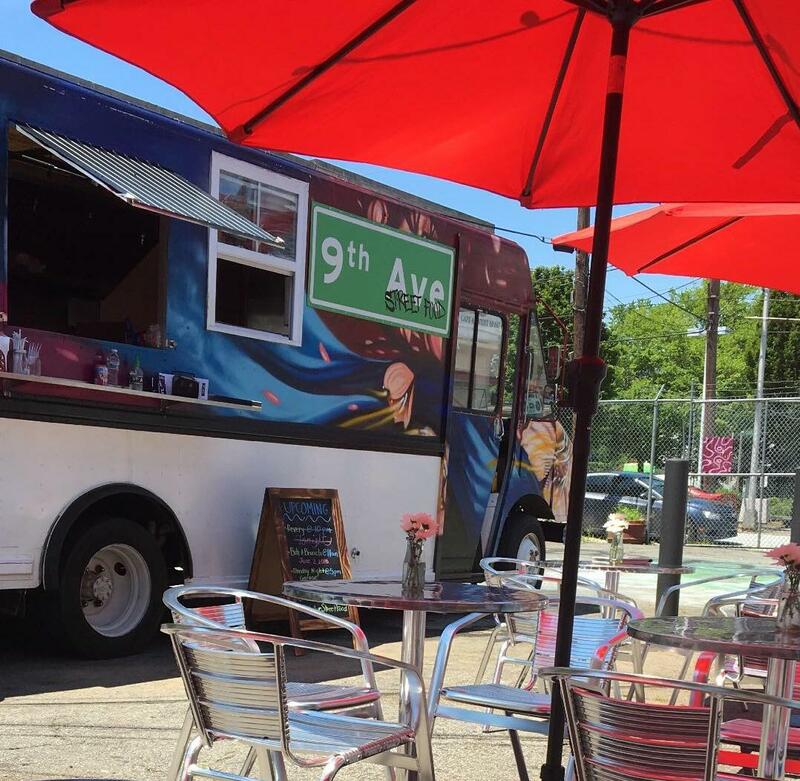 9th Ave serves lunch and dinner Tuesday through Saturday. Customers can order from the truck, then eat at the tables and chairs set up outside. Eight murals painted by local artists enhance the atmosphere, and 9th Ave occasionally hosts events with live music. The truck is still mobile at times, visiting nightclubs and breweries. “The big picture is to do a brick and mortar at some point,” says Ribeiro, who worked at Café Circa and Social House, among other local restaurants. We spoke with her to learn more about this gourmet street food concept. Where did the name 9th Ave Street Food come from? The International Food Festival happens on 9th Avenue in New York City every year. The brand is a fusion of international flavors. What’s your family background and how did it contribute to the concept? My family is from the Cape Verde islands off the coast of Africa, and Jasmine’s is from Cuba. The family traditions and culture influenced us. Who does the cooking at 9th Ave? Both of us. Jasmine’s restaurant experience is on the service side, but we eat out a lot. We understand food and flavors. We experiment with a lot of things and see what works out. How has menu evolved since you first opened on Ponce? We try to do things seasonally as best as we can. We have a chalkboard menu so we swap things out as seasons change or as we’re inspired. The jerk chicken Philly is a signature item on the menu. It’s a jerk-marinated chicken sandwich on grilled cocoa bread with peppers, onions, and pineapples, topped with provolone cheese. It comes with a side of plantains. June 29 we have a clothing apparel pop-up from noon to 4 p.m. The next day there’s a healthcare app launch from 4 p.m. to 8 p.m. On July 14, there’s a Kandy Rain block party from 9 p.m. to midnight.